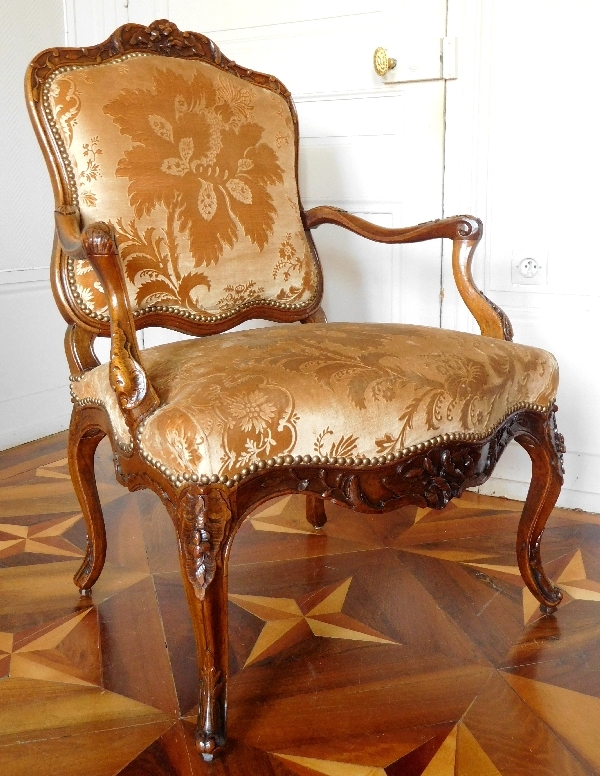 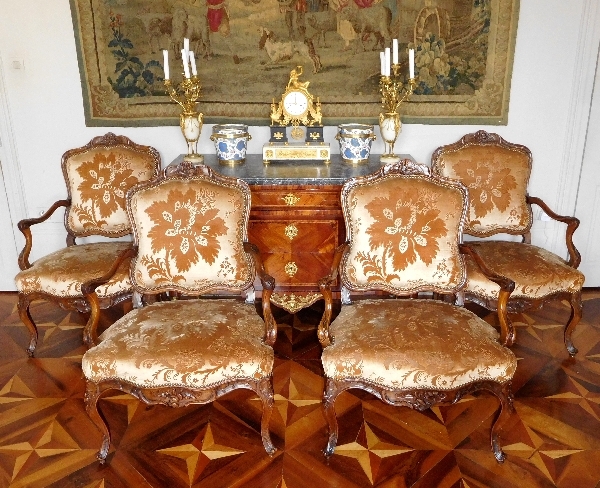 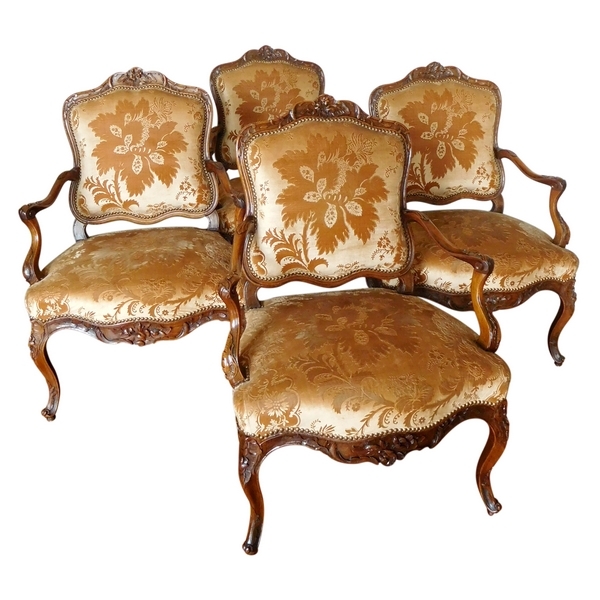 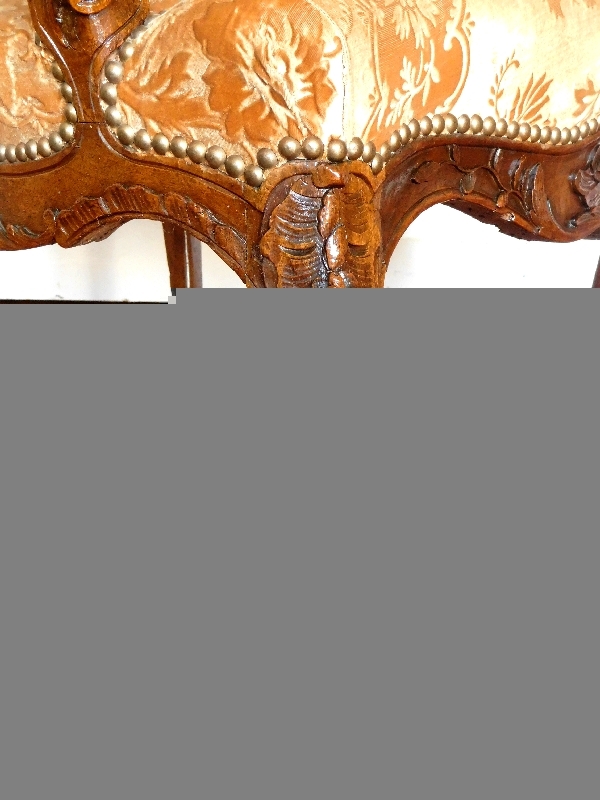 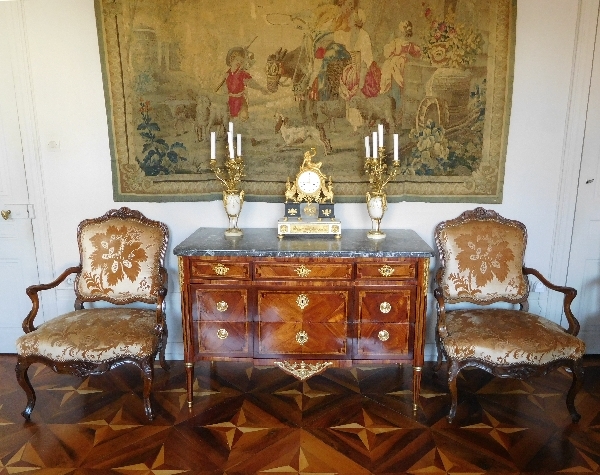 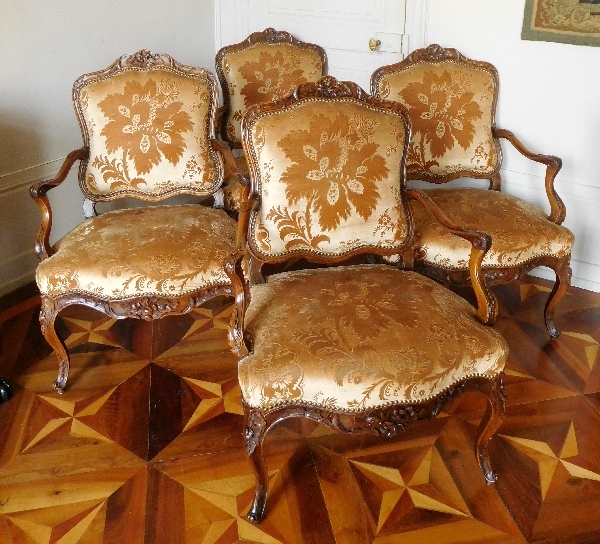 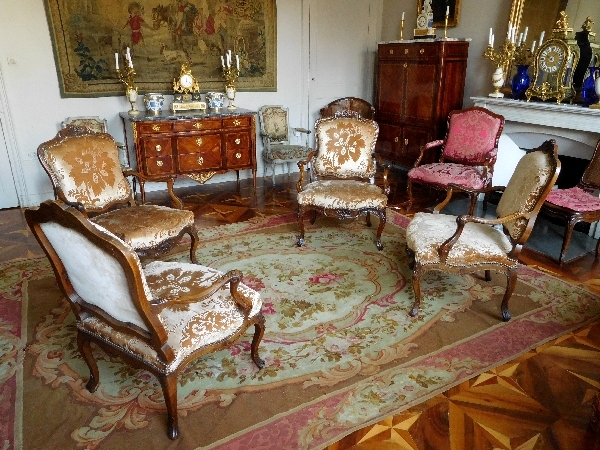 Set of 4 Louis XV period so-called à la Reine armchairs. 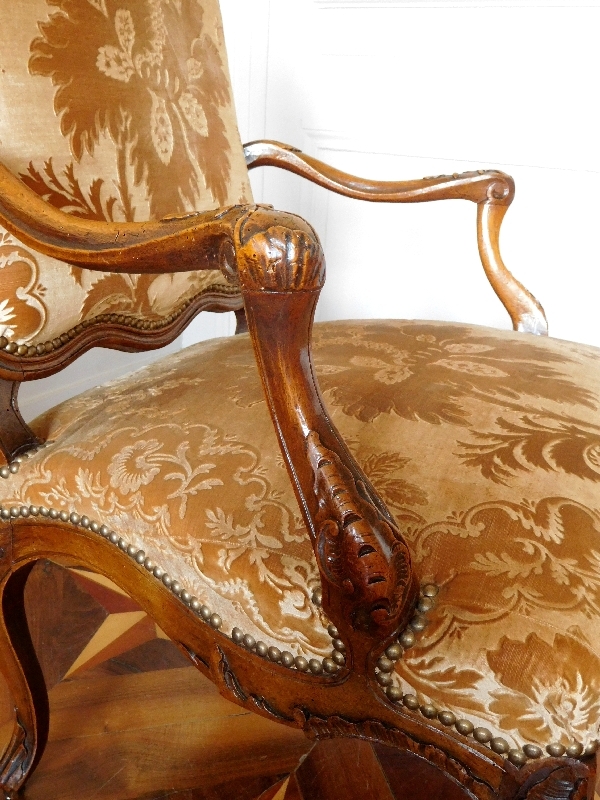 Our set is a real series of 4 identical chairs and yet all unique with a specific sculpture on the upper backrest part and on the belt. 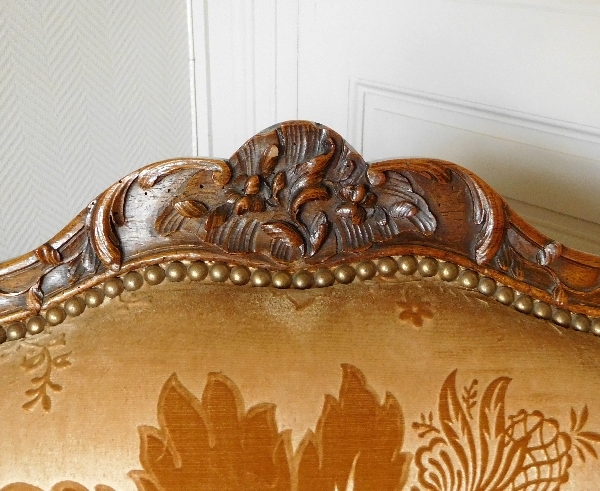 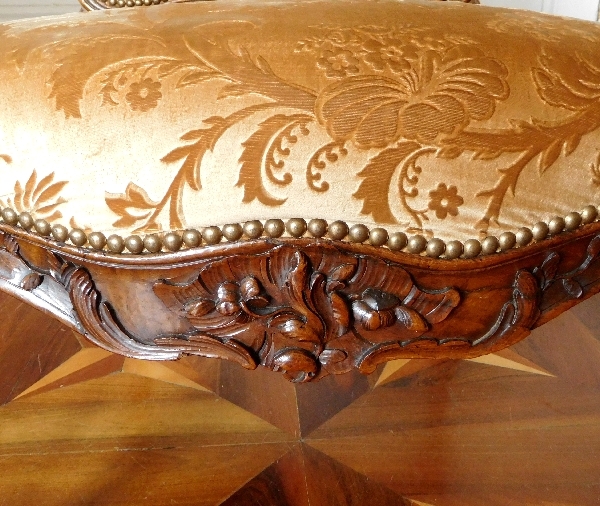 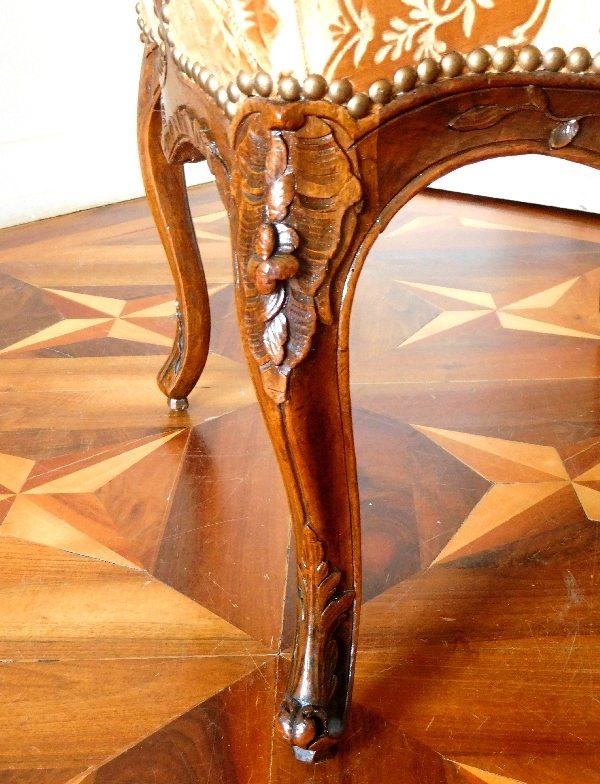 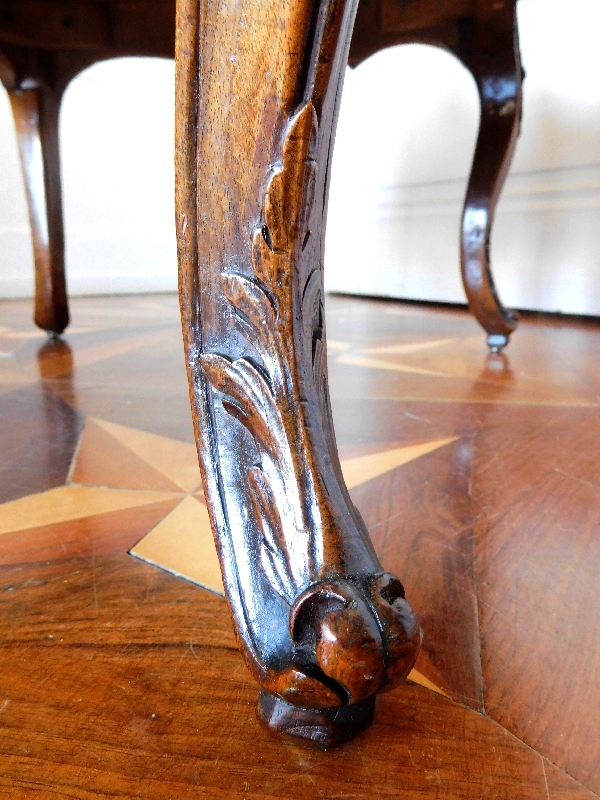 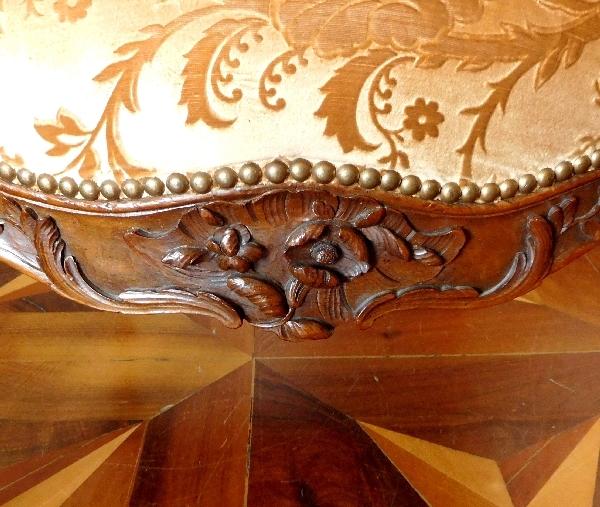 Superbly carved : our seats are a high end production, made in Lyon in the 1745-50's and attributed to the great master Pierre Nogaret. 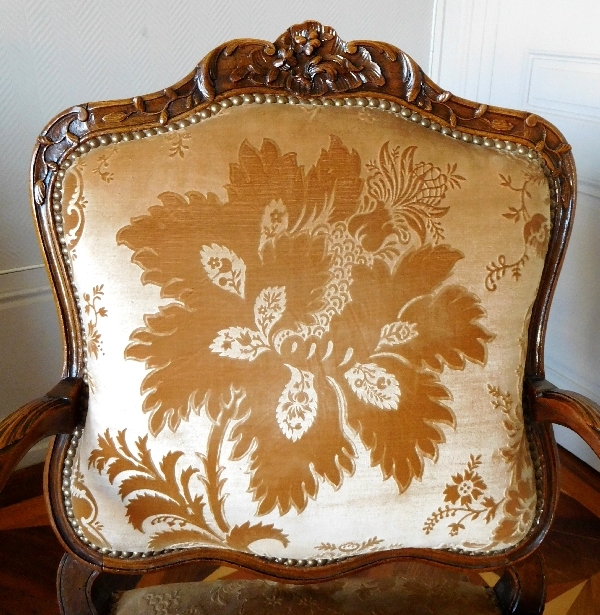 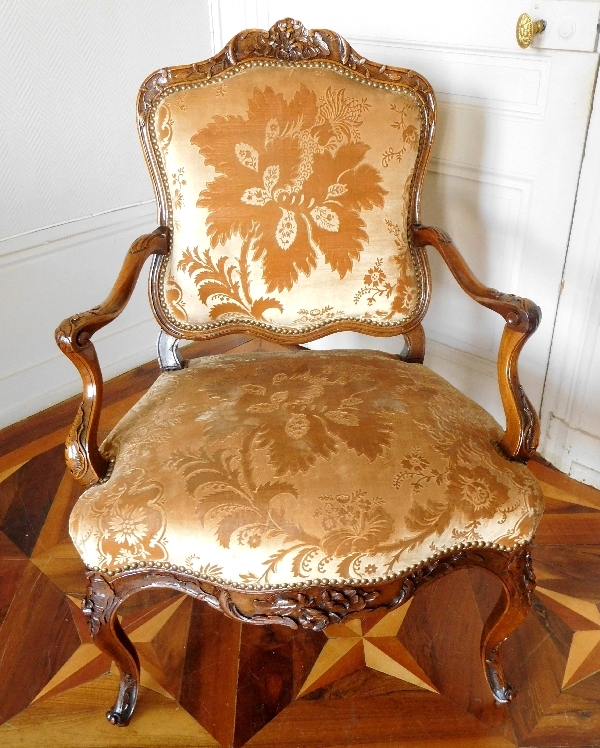 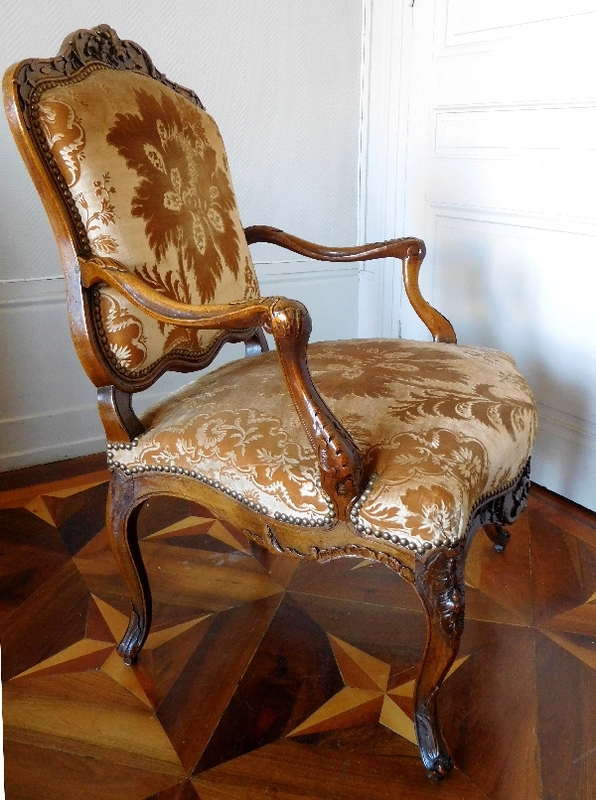 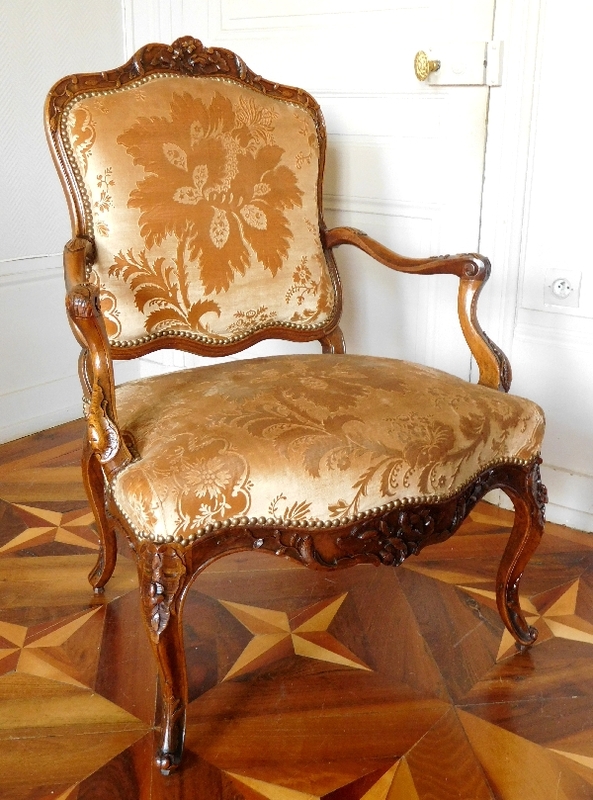 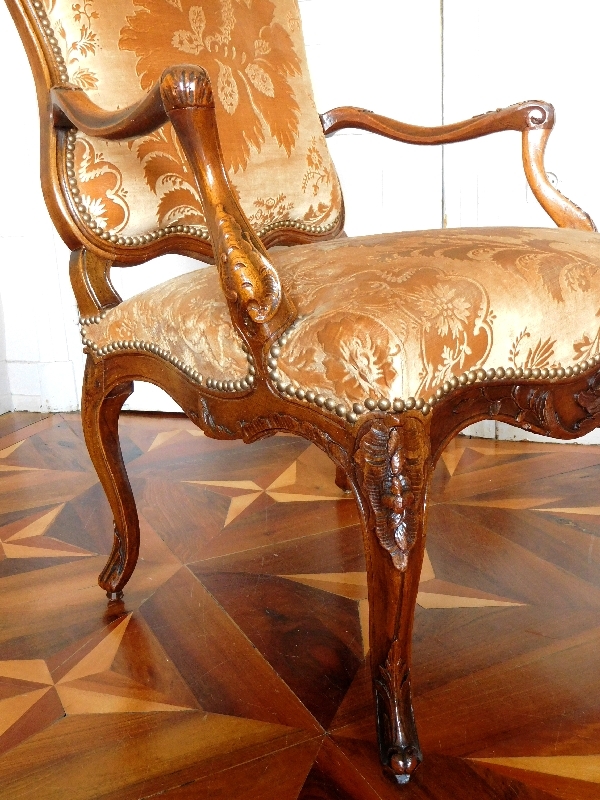 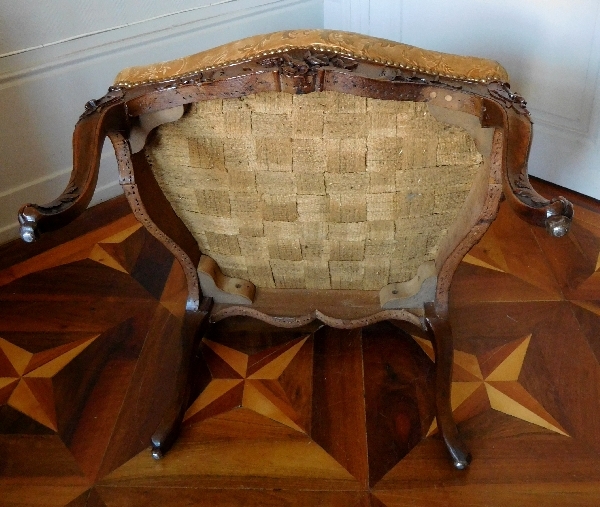 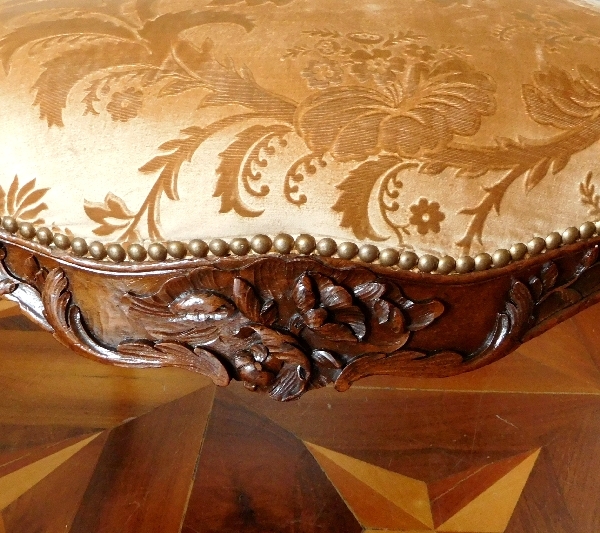 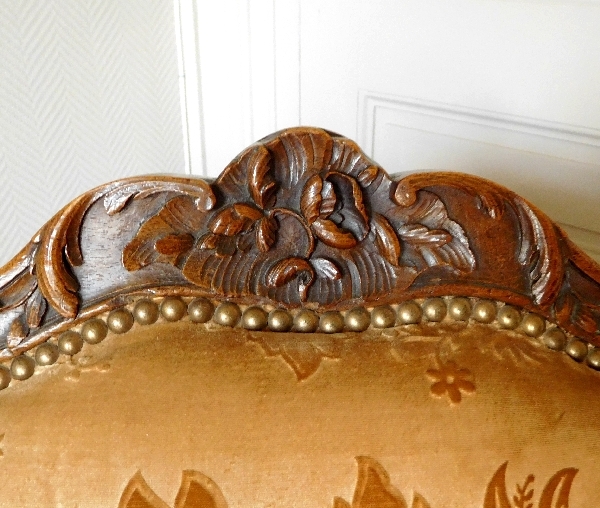 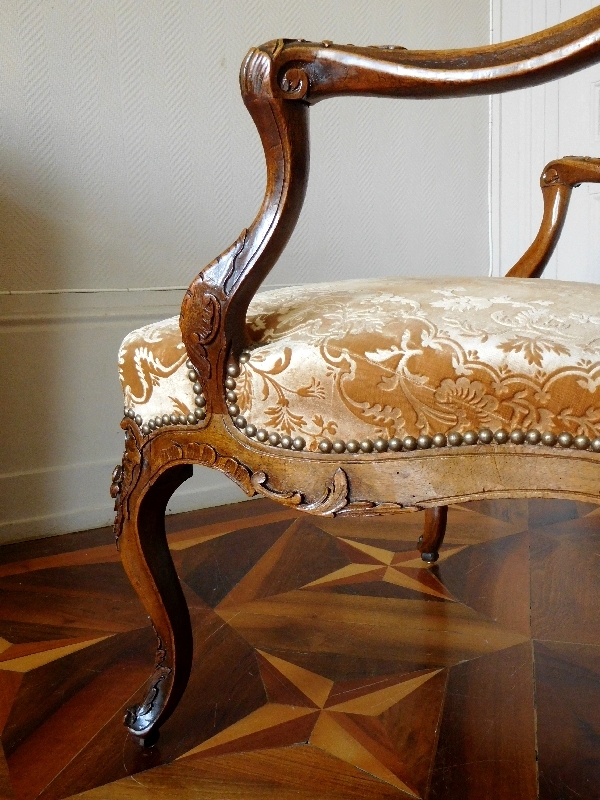 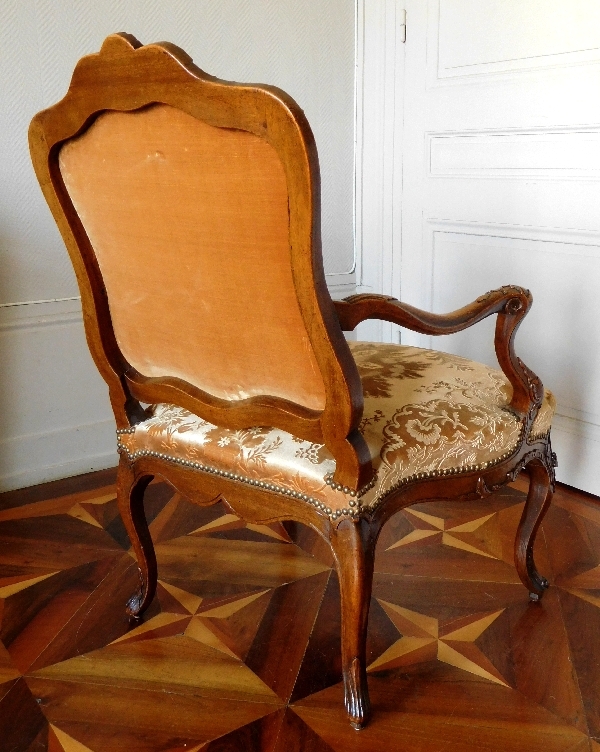 Pierre Nogaret (1718-1771), Master in 1745, is the most famous seat maker out of Paris.He was trained by Tillard and Cresson. 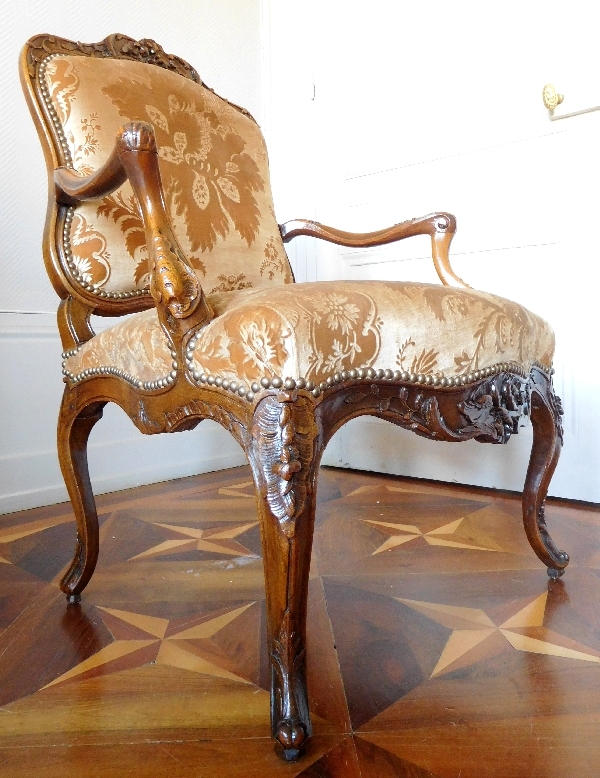 In very good condition (old restorations, reinforcements angles under the belt, some bites). 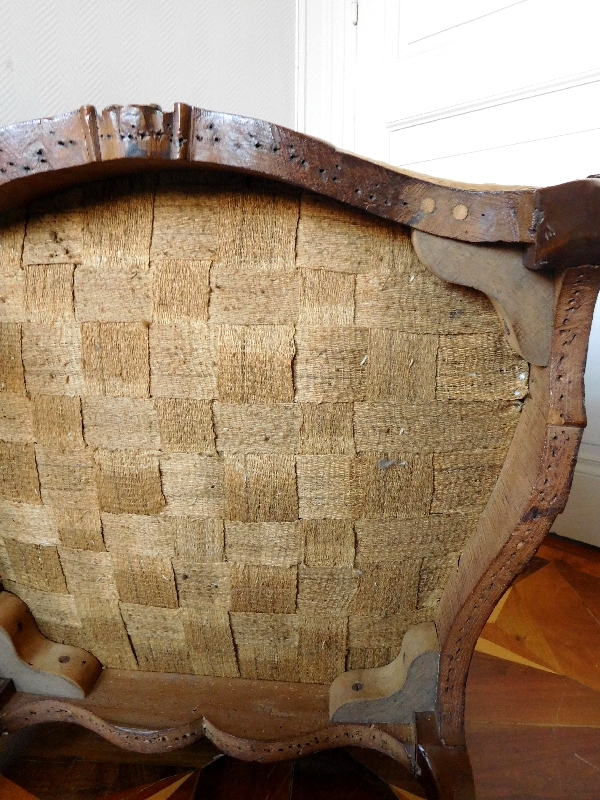 The seats are healthy and solid. 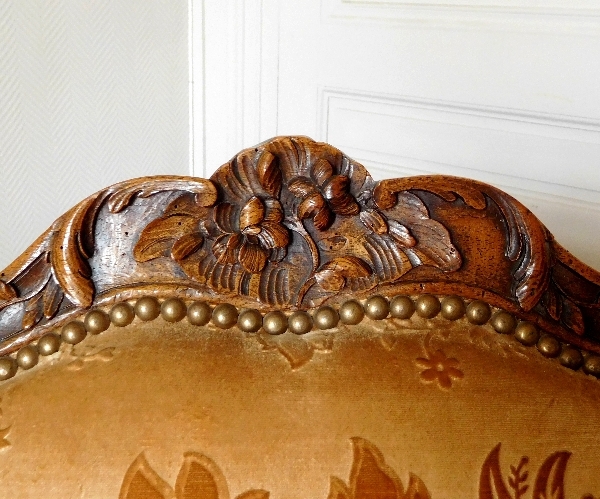 The rich and generous sculpture is well preserved. 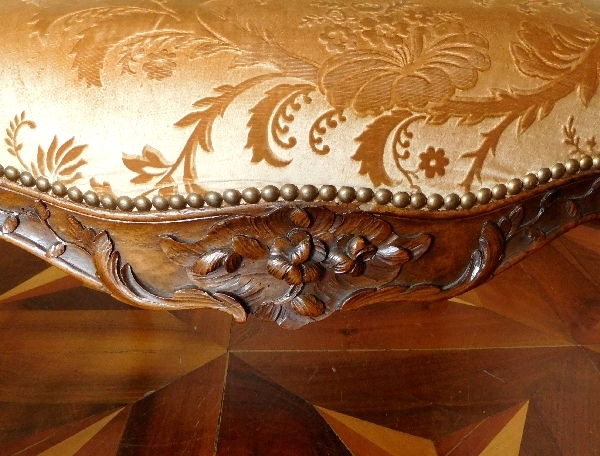 The seats are solid. 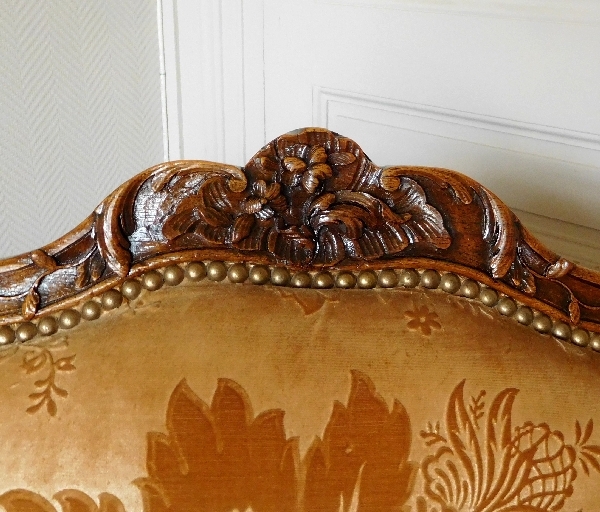 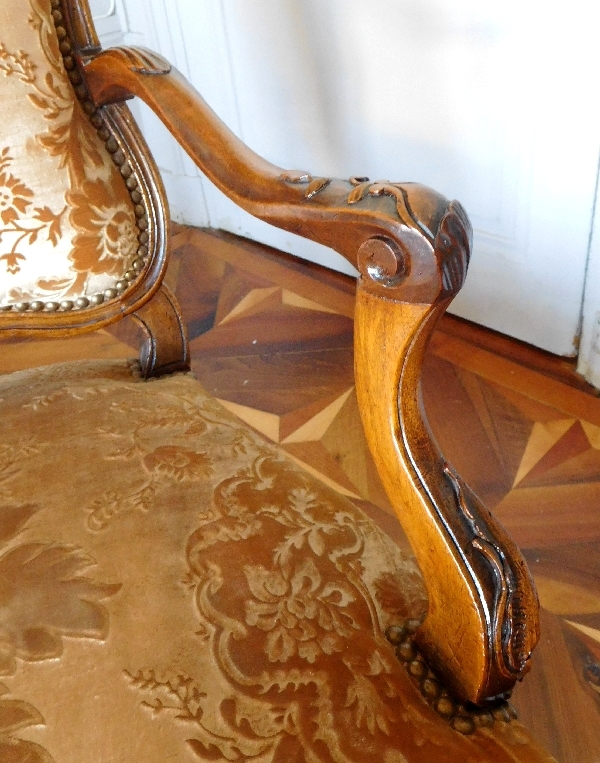 NB 1: We have chosen to present these seats keeping the silk velvet that covers them (quite well preserved). 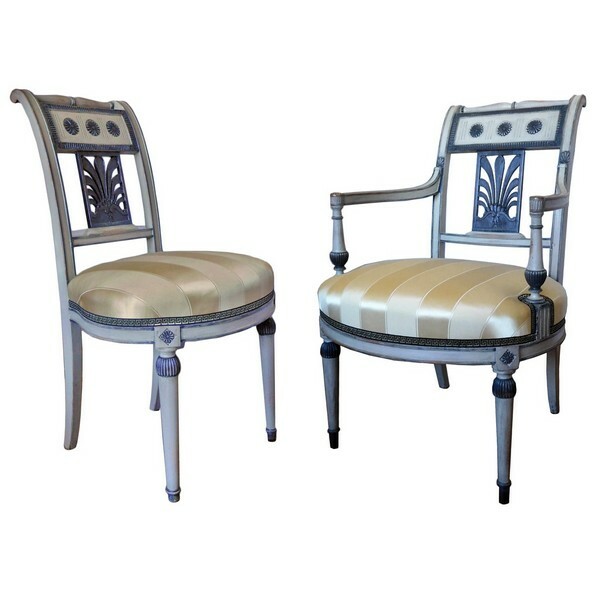 On request, we can have them covered as new with another fabric. 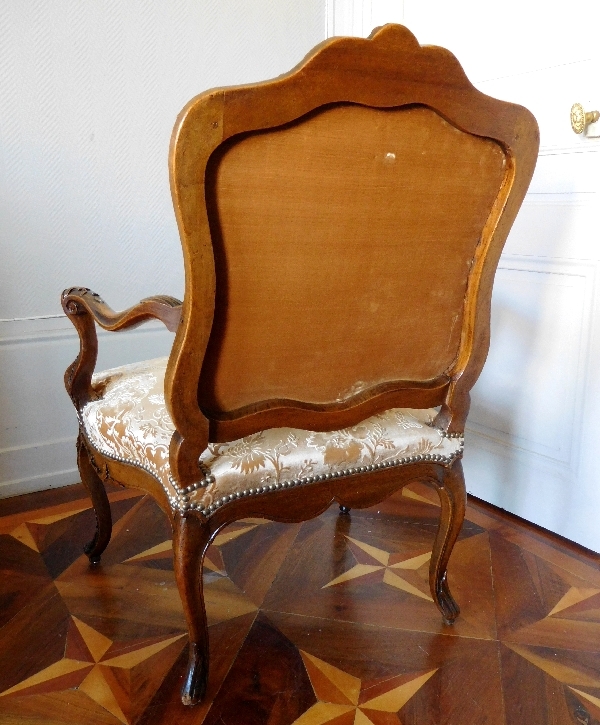 NB 2: a 5th identical seat available for sale (back foot restored).